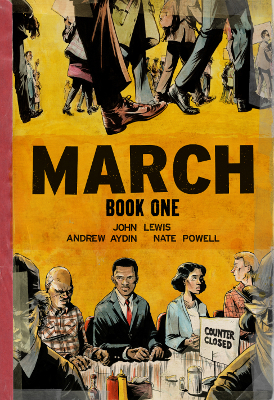 Please join us for Travel Month at the South San Francisco Public Library! Ranked the seventh busiest airport in the United States, San Francisco International Airport, or SFO, serves tens of millions of air-travel passengers yearly. 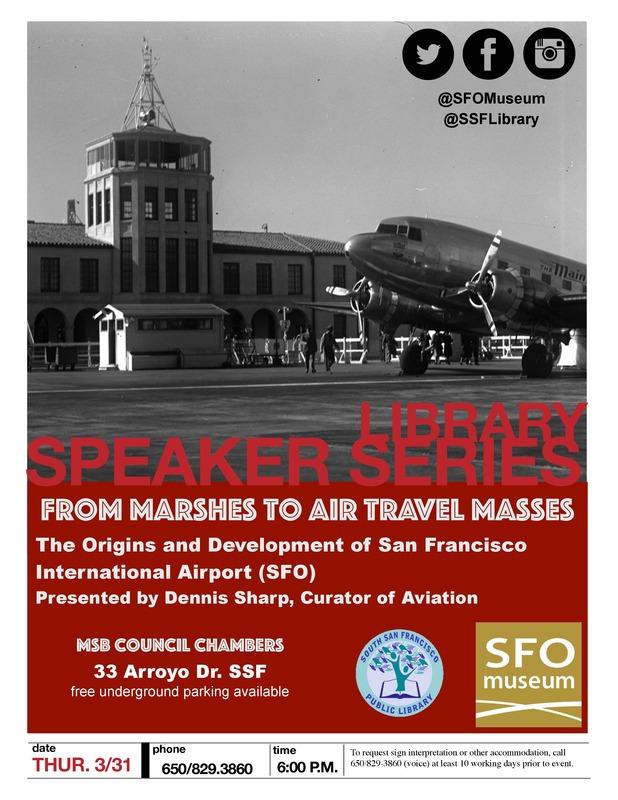 From its humble origins as cow-pasture and marshland belonging to the Mills Estate, to major international airline hub and gateway to the Pacific and Asia, the history of SFO’s development will be presented by Dennis Sharp, the Curator of Aviation at SFO Museum, through words and images. The presentation will also include an overview of SFO’s exhibition program, the SFO Museum. This free event will take place Tuesday, March 21, 2015 at 6:00 p.m. at the South San Francisco Municipal Services Building, located at 33 Arroyo Drive in South San Francisco. For more information or to request sign interpretation or other accommodation, please call 650-829-3860 at least 10 working days before the event.